I like the way this guy thinks. 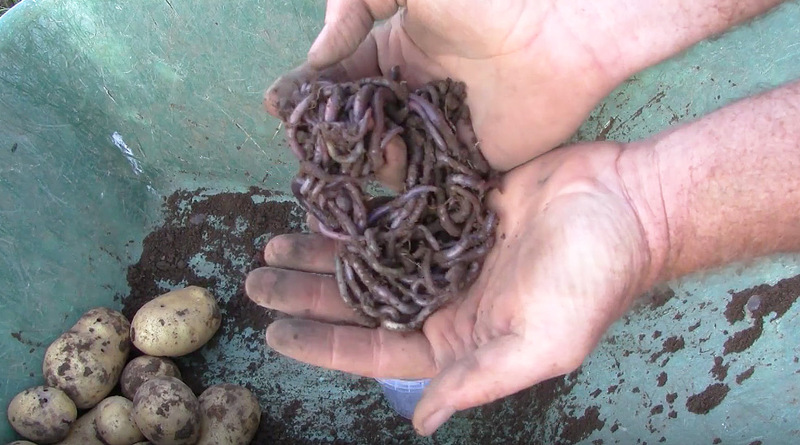 Worms love rotting organic material. At first, I would be quite frustrated by losing all those potatoes to slugs… but, as you can see, that loss wasn’t really a complete loss. It makes me wonder if if would be worth reclaiming sub-par starchy vegetables and smashing them up to add to the soil in some beds. A lot of potatoes get thrown into the dumpsters behind grocery stores. Might as well use rotten vegetables as a compost.